Awesome adventures inspired by the best-selling new Pokémon Omega Ruby and Alpha Sapphire video games that pick up where the Pokémon Adventures Ruby and Sapphire saga left off! Ruby, Sapphire and Emerald face a new crisis of epic proportions: a giant meteor hurtling toward the planet! Ruby and his absentee father search for Rayquaza in hopes of teaching the Legendary Pokémon the move Dragon Ascent and saving the world. Emerald passes through Legendary Pokémon Hoopa’s ring to join Sapphire but accidentally brings along three squabbling Pokemon—and a whole lot of trouble! 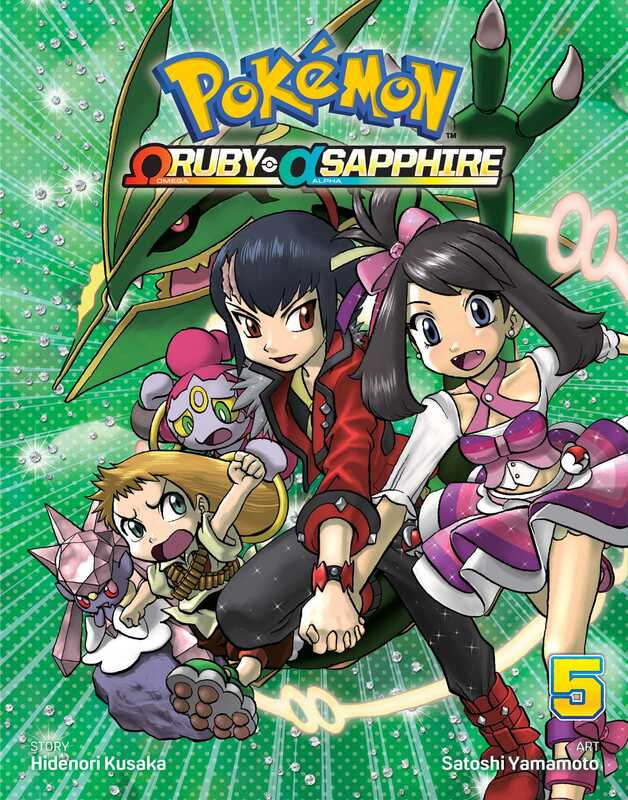 Will Sapphire ever forgive Ruby for withholding the truth about the meteor? * Releases 3 times a year for 6 volumes. Series ends at 6. * Pokémon is one of the most successful franchises of all time with over 279 million video games sold worldwide. * 21.5 billion Pokémon trading cards have been sold in over 74 countries. * Pokémon Go, a mobile collaboration between Pokémon, Nintendo, and Niantic Inc., launched in July 2016 and has been downloaded more than 500 million times worldwide. * An all-new Pokémon animated series of shorts launched in September 2016 on the official Pokémon YouTube channel.